When you visit a showroom or call The Shade Store, our Design Consultants are ready and waiting to provide expert design advice and help you choose the perfect window treatments for your home. Please welcome back our guest blogger Liz Irwin, a design consultant in our Garden City, NY showroom. “What are people picking nowadays?” “What’s new in the window world?” “What’s trending?” I hear these questions, all the time. Here’s the thing: I’m an enormous proponent of picking what’s right for you, and not being governed by a fleeting ideal. The quality of window treatments treatment we produce at The Shade Store is meant to last you for many years to come. That being said, with our vast array of window treatments and our collection of more than 1300 materials, it’s easier than ever to incorporate popular design trends and styles into your home in a way that is both fresh and elegant. Concern for the environment and interest in sustainability is nothing new, but it continues strong in 2019. Many designers and consumers want to know that their purchase is environmentally responsible, and are opting for recycled or sustainable materials. At The Shade Store, we plant a tree for every order purchased. We’re also proud to offer an extensive line of responsibly sourced Bamboo and Woven Wood Shade materials. 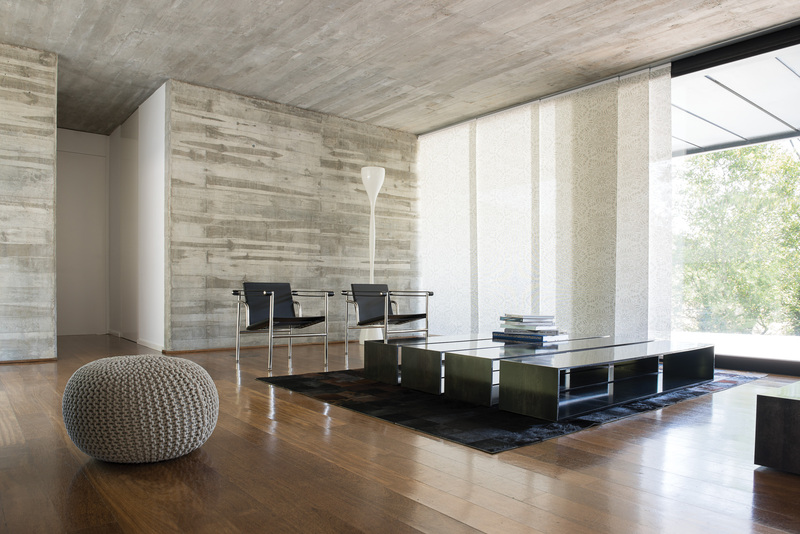 To implement this trend in your home or office, browse our Naturals collection for Roller Shades, Panel Tracks, and Woven Wood shades. My personal favorite? Guthree in Beaded Pearl —you get rugged earthy-ness and polished shine, all wrapped up in one perfect textile. If blinds are what you’re looking for, fear not! Our eco-friendly wood blinds are handcrafted in the USA using only the finest woods from sustainable resources. Interior Design, like anything else, is a swinging pendulum. As an industry, we swung really far in the minimalist direction over the past few years. In 2019, we’re seeing momentum headed in the other direction, as designers and clients embrace a more maximal aesthetic. Designers are showing homes that are personal, curated, and meant to be lived in. Does that mean a space that is overdone or crowded? Not at all. If you’re looking to break free from the minimalist mold, look to two of our designer partners who have mastered the Art of Maximalism: The Novogratz and Jonathan Adler. With bold prints and a kaleidoscope of vibrant colors, these exclusive collections are the perfect solution for a modern eclectic home. Is there anything more classic than Velvet? I submit, there is not. 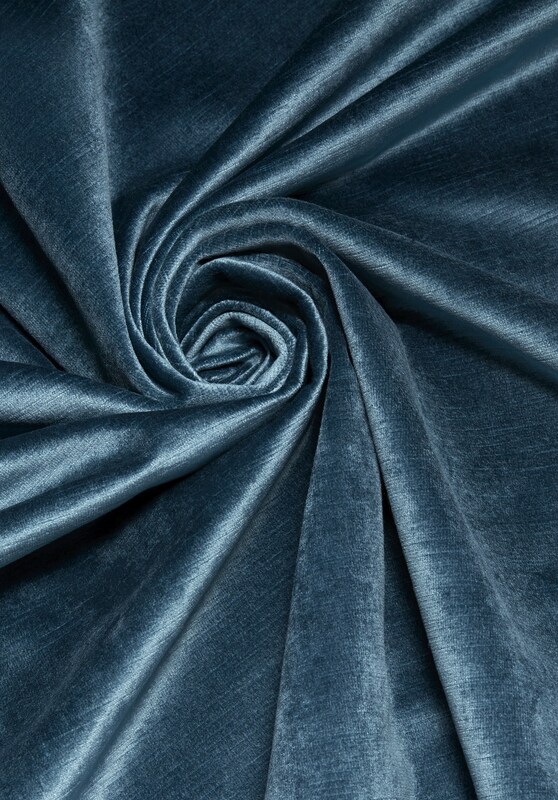 Yet, Velvet is experiencing an upswing in popularity like never before. Velvet Drapery is the perfect way to incorporate this trend—it instantly adds a sense of luxury to a room, while still remaining subtle and versatile. Our Velvet Drapery or Roman Shades in Grotto (somewhere between Tourmaline and Blue Topaz) and Garnet (like a gorgeous Ruby) are be the perfect rich tones to elevate a neutral space. The layered look is a big trend from last year that continues to reign supreme. Layering window treatments is a wonderful way to introduce subtle colors, patterns, and texture to a room. 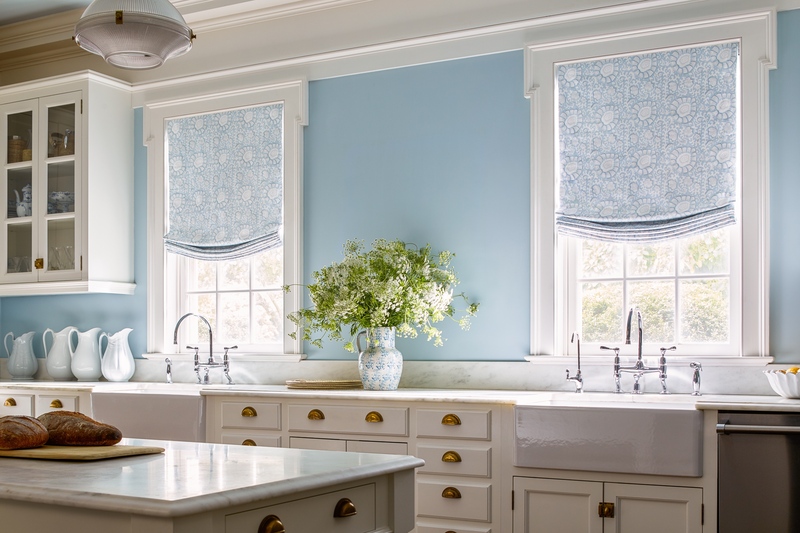 There’s also the added benefit of customized functionality—you can add blackout or light-filtering materials for added privacy and light control to drapery or a woven Roman Shade. 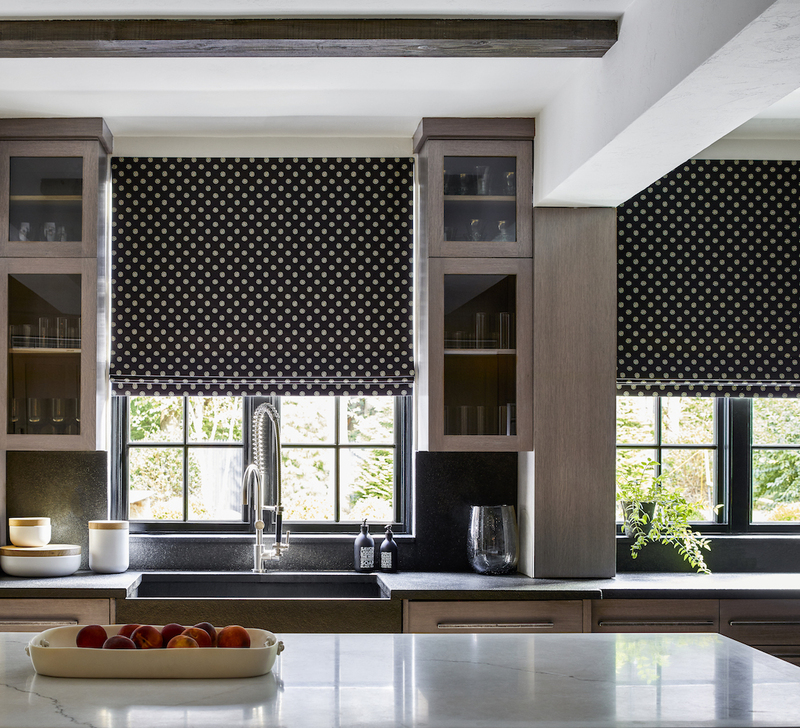 Our newest collection, Alexa Hampton for The Shade Store, is an exclusive line of Blackout Roller Shade materials that were designed for layering. Each small-scale pattern in this collection is extremely versatile, and the blackout lining offers privacy and keeps light out. From the runway to interior design, florals are certainly having a moment. Not only do floral window treatments bring the outside in, they also provide cheer and color to your space. 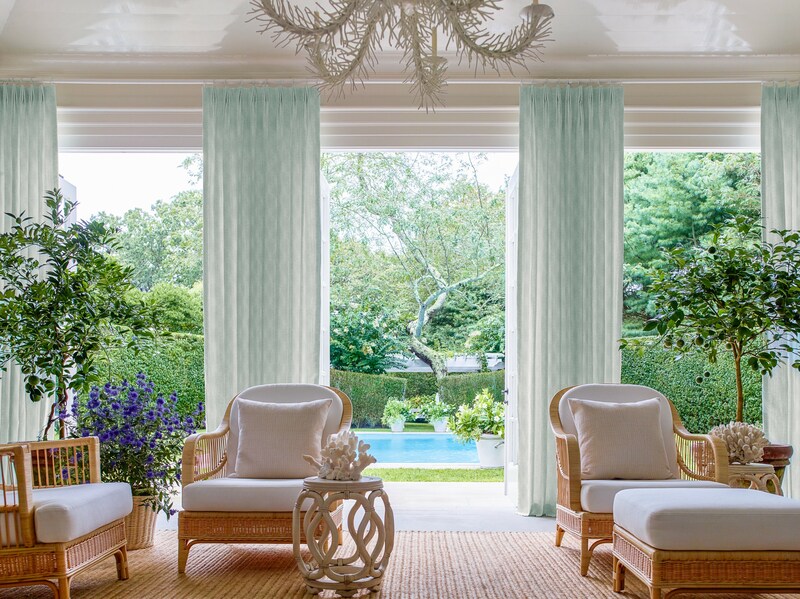 Channel the breezy, fresh style of the Hamptons with our AERIN for The Shade Store Collection, designed by Aerin Lauder. If you’re in search of a floral pattern with a more masculine point of view, look no further than the Gemma, Freya, and Remy patterns from our exclusive Nate Berkus Collection. Looking for more flowery inspiration? Browse our Floral Mood Board. Visit one of our 65+ nationwide showrooms to experience all that we have to offer. See the styles, browse drawers of material swatches, and even test out motorized shades. Each of our showrooms is staffed with expert Design Consultants ready to help you narrow down your choices and design the ideal window treatments to fit your space! When you visit a showroom or call The Shade Store, our Design Consultants are ready and waiting to provide expert design advice and help you choose the perfect window treatments for your home. Please welcome back Liz Irwin, a design consultant in our Garden City, NY showroom. Liz will share some of her insights, tips, and answers to frequently asked questions here on The Shade Store Blog. Over the holiday, I went walking around a particular neighborhood in Brooklyn, famous for its spectacular light displays. During that walk, in a neighborhood filled with stately brick homes, many with bay and bow windows, I was astonished to see how many folks covered those windows in 3 ½” plastic or aluminum vertical blinds. Or arguably worse, they covered the windows with curtains, but didn’t go wide enough, cutting off the whole window. I lamented how that must make their living room feel like such a cave. Many of my clients come in asking for the same window treatments they already have because that’s what they know. There are so many other options you can consider, I promise. Here at The Shade Store, we’ve got you covered, providing Roller Shades, Roman Shades, Bamboo Shades, Wood Blinds, and more! What’s The Difference Between Bay and Bow Windows? Bay and bow windows are actually much easier to dress than most of my clients realize. Though similar, bow and bay windows differ dependent upon the shape of where the windows meet. Bay windows are typically set up in groupings of three windows: two smaller windows on the sides and one larger window in the middle. They may also appear in groupings of five windows. The windows making up the bay window are angled toward each other. Bow windows are usually grouped in 4 or 5 skinny windows though you may find some bow windows in groupings of 6. Bow windows are rounded where the windows meet. Though both window types can have different variations, most of the time, you can update bay and bow window treatments in the same way. The preferable application for horizontal window treatments is to mount to the ceiling of the bay or bow itself, individually outfitting each window. Another option you have is to combine the centermost windows into larger treatments. No matter which option you chose, using the ceiling mount inside of the bay or bow gives the appearance of a sleek, clean, inside mount, and won’t cut off the window itself. This makes the room seem brighter and larger. A major benefit of a bay or bow window is to make a room seem larger and brighter than it really is. If you do one giant shade or blind across the entire window, understand that you’re cutting off that depth, that visual interest, and the light. This means you are effectively making the room feel smaller and darker. You also have the option to cover your bow or bay windows with drapery or another window treatment that moves from side to side. You can outfit your windows in a modern way using side-to-side window treatments, which include drapery, panel track blinds, or verticals. Drapery is always a gorgeous and luxe option. Just make sure you have one to two feet of space on either side to be able to get the drapery entirely out of the way or you’ll end up crowding the window and block it off. 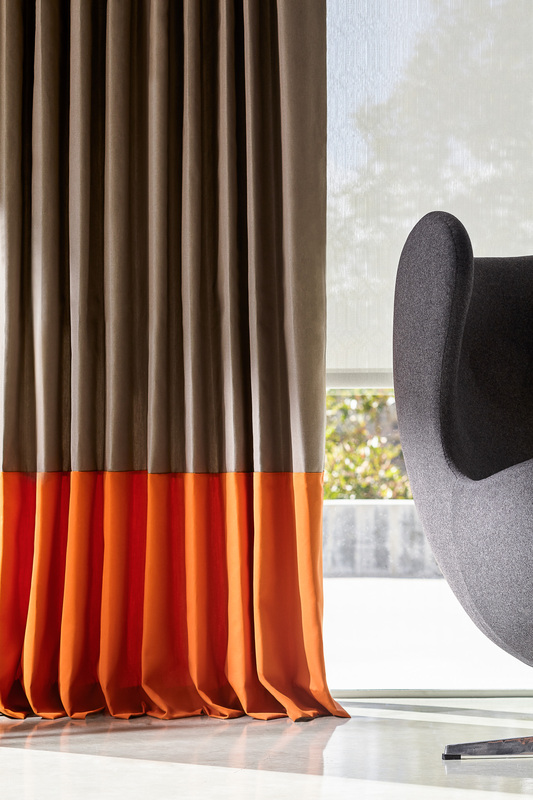 Panel track blinds provide a cleaner, sleeker line than draperies, the same air of elegance, and an element of modernity. Again, you’re going to want a good chunk of empty wall on either side to stack the panels off, or you’ll lose that light and depth. XL Verticals from The Shade Store are a wonderful option if you’re not fortunate enough to enough space on either side of your bay or bow windows. XL Verticals are a modernization of the old school 3 ½” vinyl blinds that existed 30 years ago, and the current style is to go to the floor, à la drapery. The XL Vertical blinds come in many of the same materials and prints that our roller shades do, albeit in an oversized vane of 9 ¾”. The XL Verticals give a soft drapery look, but stack much tighter. They have the flexibility of tilting, which is definitely a popular and elegant update. Need an expert’s help on how to cover your bay or bow windows? Give The Shade Store a call or stop into one of our 65+ showrooms to speak with one of our design consultants. 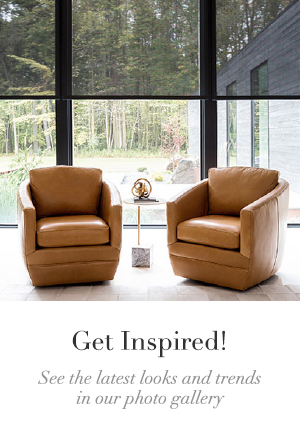 Our advice, our swatches, our photo renderings, our remote or in-showroom design consultations – they’re all free! Let us know what you’re after, and we’ll take care of the rest. We are excited to introduce our newest designer collection: AERIN for The Shade Store! Classic, but always with a modern point of view, every print and pattern in this exclusive Aerin Lauder collection is designed to make your windows more beautiful, with a sense of ease and refinement. This line of handcrafted window treatments is available in 30+ materials for Light Filtering Roller Shades, Roman Shades, and Drapery. We sat down with AERIN Founder Aerin Lauder to talk about what inspired her to design this window treatment collection. How would you describe your personal design style and how does this collection reflect your personal home decor style? My style is classic yet modern and I try to reflect that in the AERIN brand. I design each AERIN collection for a woman like myself – someone who wants modern yet timeless designs that also feels effortless and edited. For this collection, my style is reflected in the mix of traditional prints and patterns which are shown in a fresh, updated color palette. What was your approach to designing this line of AERIN window treatments? Window treatments are the finishing touch in every room, they can pull the entire scheme together. For this collection, I wanted to create a set of designs that were versatile and easy to live with. Even a simple Roman shade can add style, not to mention practicality, to any room in the house. 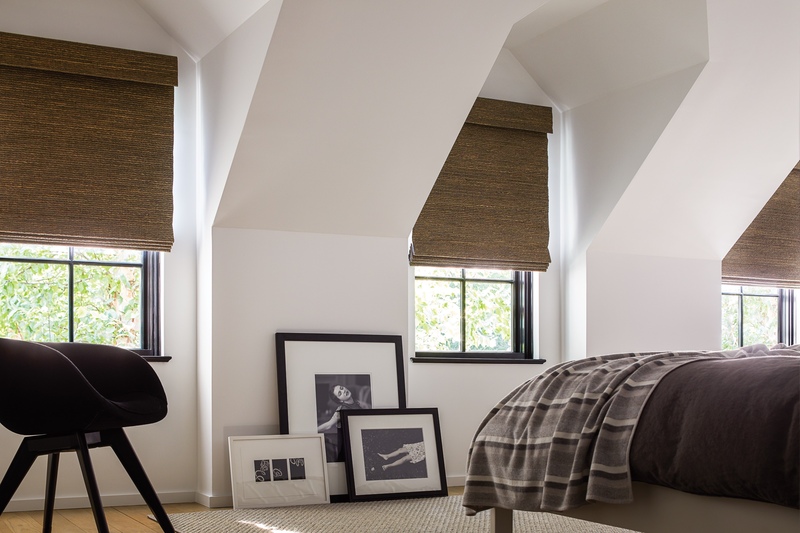 The collection includes both Light Filtering Roller Shades and Fabrics for Drapery and Roman Shades. Did you approach the design of each AERIN window treatment differently? For the light filtering shades, we started with the patterns. We created small-scale patterns that add texture and visual interest but filter the light in a uniform way. For the drapery panels and Roman shades, we focused on the hand of the fabric, ensuring that the texture felt luxurious and artisanal, then created several patterns that were inspired by vintage hand-blocked designs. Can you share some specific inspiration around the different styles? The collection was inspired by my home in the Hamptons, which previously belonged to my grandmother. Several rooms in the house have existing wallpaper and drapery, but through the years I’ve made small changes while honoring her existing vision for the space. This collection is inspired by that mix, which makes a room feel more personal and curated to your individual style. What makes these patterns interesting to you for window treatments? The patterns in this collection mix beautifully with many different colors and styles, so you can add a roller to a window with existing drapery panels, or vice versa. The color palette is soft and painterly, primarily neutrals in warm and cool tones as well as chocolate brown, pink and blue, a signature color for AERIN. What rooms in particular do you envision these window treatments living in? The fabrics are designed to be versatile, so really they will work in any room, but I love the look of a beautiful Roman shade paired with a drapery panel in a bedroom, or a simple Roman shade in a bathroom, kitchen or hallway. 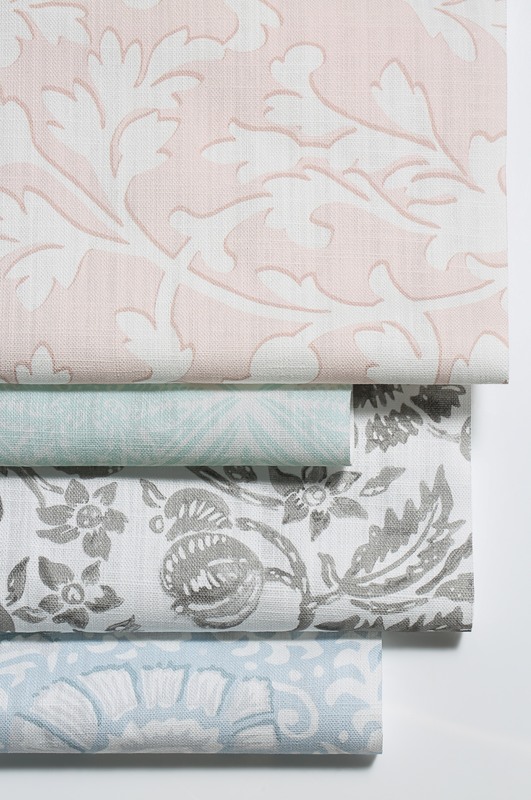 Want to learn more about our new AERIN fabrics for your shades and drapes? Visit one of our nationwide window treatment showrooms, request a free catalog, or give our expert Design Consultants a call at (800) 754-1455. We are very excited to introduce our newest window treatment collection with Nate Berkus! 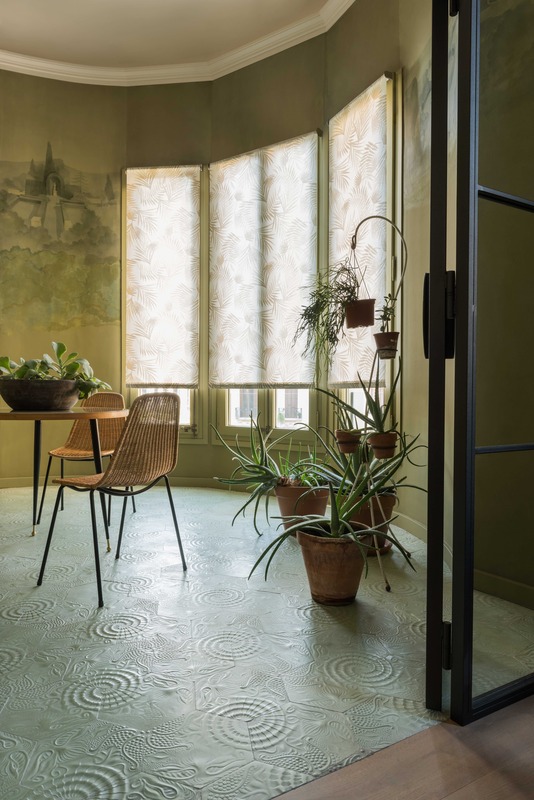 Following the success of Nate Berkus’ exclusive Roller Shade collection with The Shade Store last year, his new exclusive line for custom Curains, Drapery, and Roman Shades builds on his signature minimalist prints and fabrics. The Nate Berkus Window treatment collection features a modern interpretation of classic techniques such as block printing, painting, and hand-drawing to create patterns that are approachable yet sophisticated. Inspired by Nate’s travels, this new line features a muted color palette with shades of pinks, browns, teals and grays to make the collection versatile and easy to layer in to existing décor. 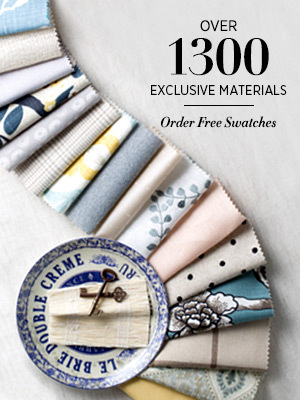 You can find the perfect Nate Berkus fabric to match your unique style by ordering unlimited free swatches. “My hope for this collection, as with the Roller Shades, is that they will elevate what you already live with, and love,” Nate says. 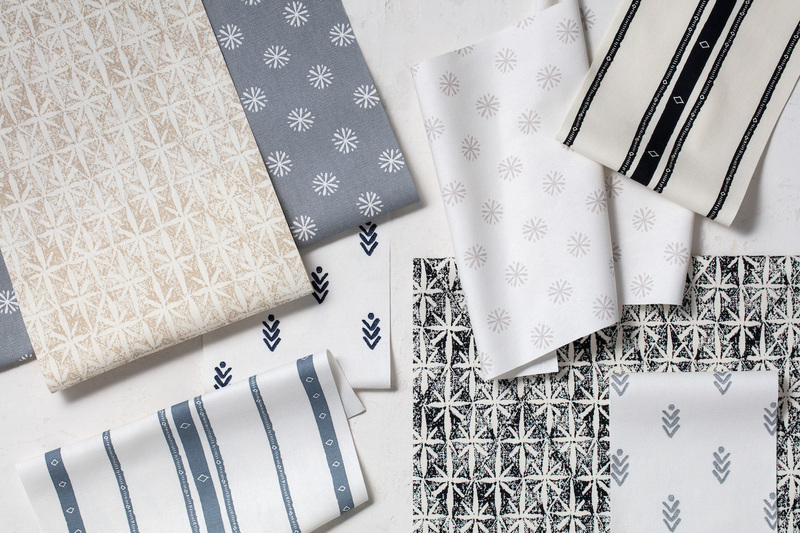 Want to learn more about our newest Nate Berkus fabrics for your shades and drapes? Visit one of our nationwide window treatment showrooms, request a free catalog, or give our expert Design Consultants a call at (800) 754-1455. 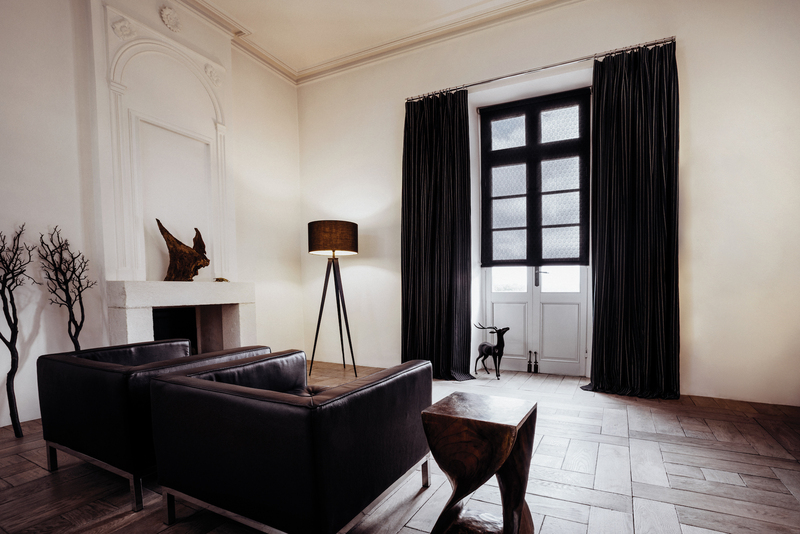 When it comes to selecting and styling your custom drapery, there are many things to consider. One of the most important but undervalued considerations is how long you would like your drapery to be. Do you want the panels to clear or touch the floor? Do you want there to be a slight break? Or, do you want your drapes to puddle? Puddled drapery can do great things for your space, but can also seem like a daunting choice. Keep reading for tips on why puddling is a great option, and on how to style puddled drapery. If you have uneven floors in your room, which is often the case for older homes, drapery that hovers or barely touches the floor can accentuate any imperfections. Drapery that extends beyond the break of the floor at least one to four inches is a great way to hide the unevenness and keep your home looking clean and uniform. In addition to the functional benefits, puddled drapery can be a design-oriented decision, too! If you’re shopping for window treatments for a more formal space, such as a dining room, living room, or master bedroom, this is the perfect option for you. Puddled drapes can add an understated elegance to any window and are a great way to dress up an otherwise casual space! To keep puddled drapery from looking unkempt or unintentional, it’s important to ensure that your panels always look neat. Use a steamer to keep folds crisp, and dress the puddle as often as needed. These tips will keep your drapery looking beautiful, tailored, and custom! Still have some questions, or ready to customize your own puddled drapery? 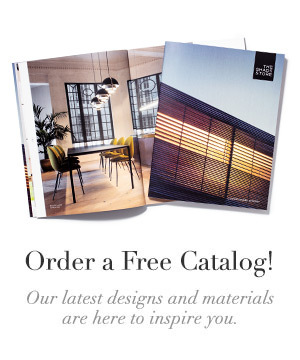 Visit one of our 55+ nationwide showrooms, give us a call, or email us at design@theshadestore.com to get started.